I’ll participate in a vendor fair and share-a-thon, too. Cost: Conference registration is free; follow this link to register with the Wyoming Department of Education. Participant sketches on a theme: student selected ‘evergreen ground plants’ and documented the size, shape, appearance, and coloration of the plants discovered during a self-guided forest exploration. This session is appropriate for instructors of all ages as well as both traditional and out-of-classroom instructors. These principles can be adapted to suit your particular students, and will provide actionable take-home concepts, activities, and methods that enhance science inquiry through providing students with self-directed observation, critical thinking, and creative synthesis learning opportunities. 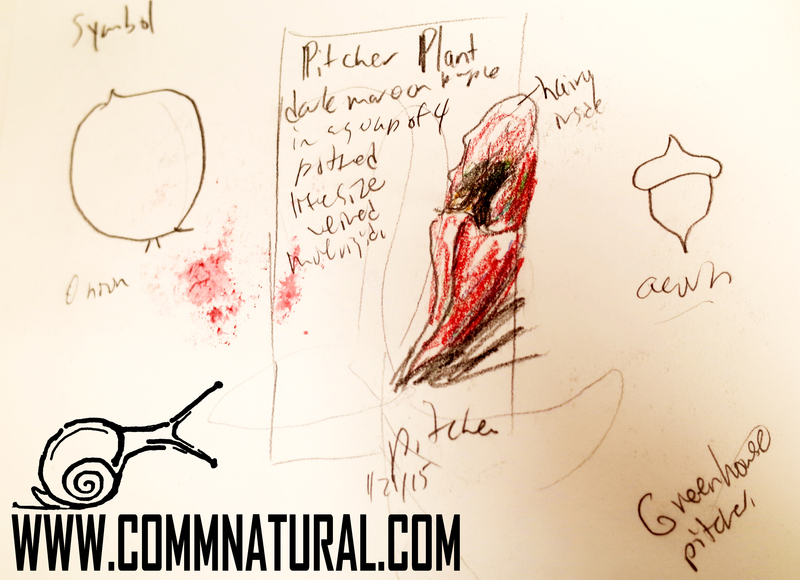 Participant sketches of several plants – onion, pitcher plant, and acorn – studied during introductory drawing technique and practice phases of a Drawn to Science workshop. Participants practice quick tricks for drawing landscapes. 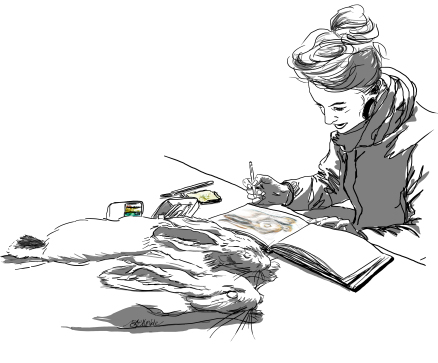 Visit the ‘Artful Science’ page on my website for more background on the synergy between drawing and science learning. And, see my teacher resources for articles, books, and activities you can work with right away.